Do not worry, it is the same for everybody. 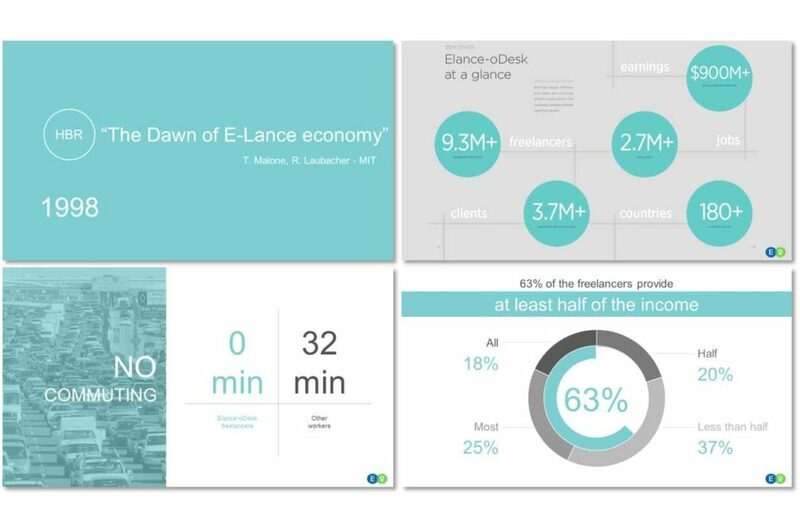 We are always called to create an effective presentation at the last minute, and this forces us to recycle as much as we can (collage effect), in order to reduce the number of new layouts we have to create as much as possible. Assembling slides from existing presentations and adding new layouts generated at the last minute gives life to a variety of very strange and ineffective presentations. Every time a presentation is assembled, it needs a consistency intervention. 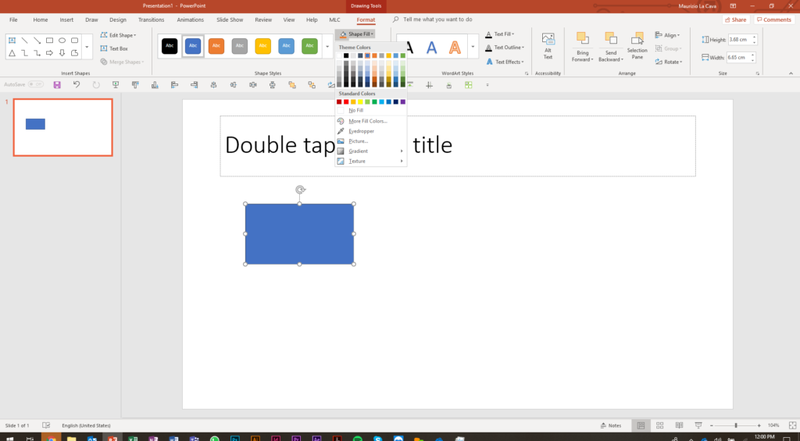 Hence, you start tasks like aligning titles from slide to slide, positioning the logo in the bottom right, making sure it is the same size and the same position in every slide along the presentation, etc. These tasks can cost you a lot of time, and it gets even worse. You’ll often need to generate new layouts under time pressure, and you don’t have guidelines or rules to follow. So, what do you honestly do when you face a white slide that must be completed? You launch PowerPoint and try to design something that seems beautiful and effective to you. 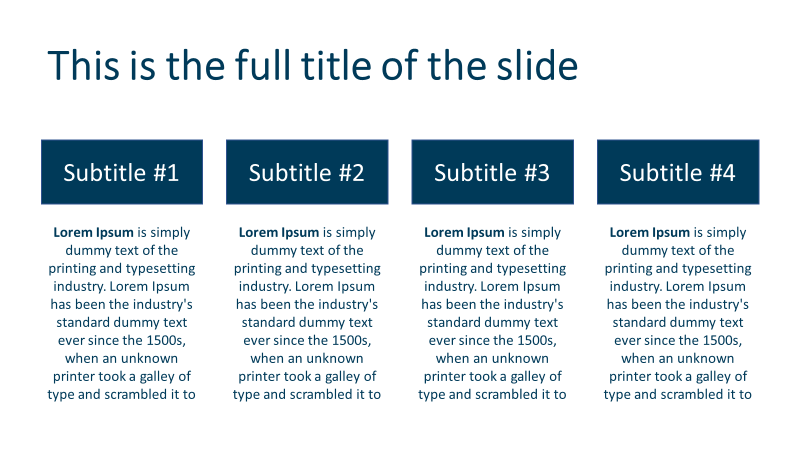 Then you’ll work to make it look consistent with the rest of the slides, wasting even more time. Unfortunately, this will often lead you to design ineffective presentations. Why ineffective? Think for a moment: is it enough to align the logo on every slide to make the presentation effective? Those elements are very important, and you can get PowerPoint to take care of them. 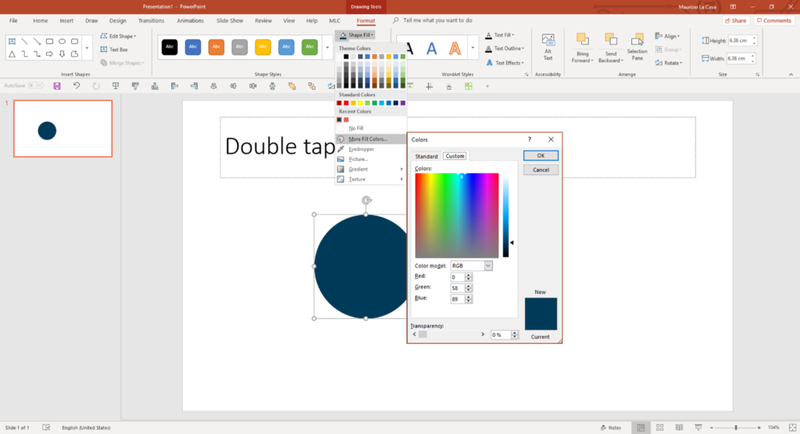 Eventually, you just need to be a good user of the well-known PowerPoint slidemaster, and your presentation will look consistent. But is that enough? What if you had a few rules to follow that could guide you along the creation and assembling phases of your presentation in such a way that, if respected, could guarantee you design a 100% effective presentation? 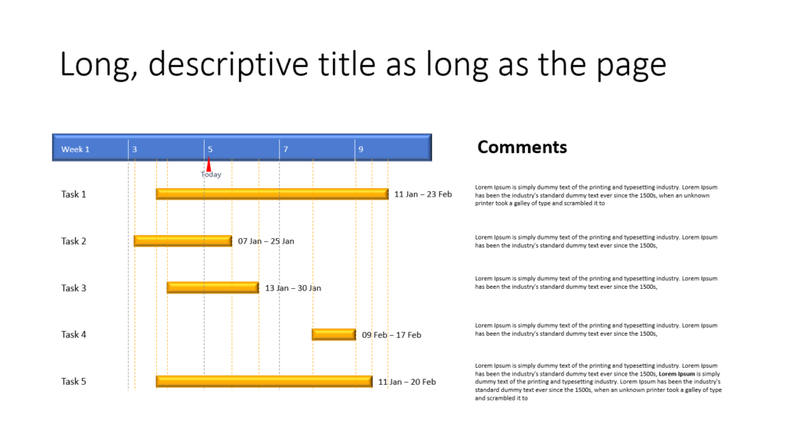 Observing people designing presentations, I have been spotting the most common mistakes. I’ve been taking notes in the last few years, and I’ve finally turned them into rules that can make the difference in your presentation. Having these 12 techniques in mind, you’ll be sure your presentations will always be consistent and effective. Moreover, you won’t have to wonder about what needs to be done slide by slide, and no choice will be left to your own creativity. Through this article, you’ll learn a methodology that will allow you stop imagining slides and start solving them. 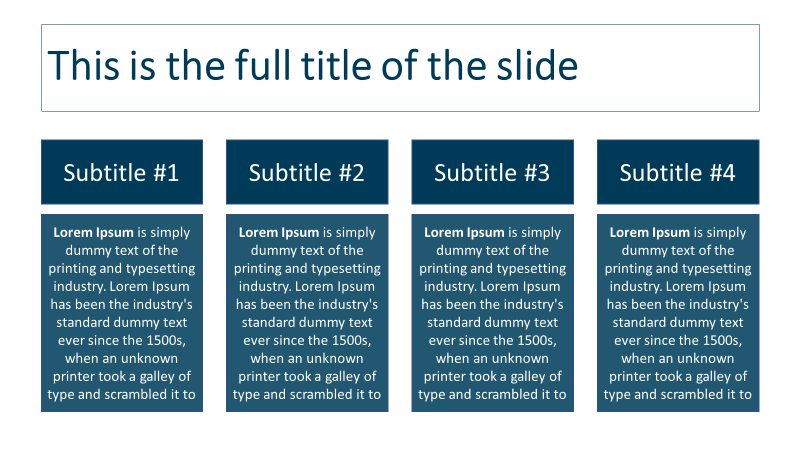 The most common answer coming from most of my students is: “Yes, these four slides are part of the same presentation”. Would you agree with them? Then I like to tease them and ask, “Why do you think they all come from the same presentation?” What makes you think so? There is clearly a combination of factors that gives the audience the feeling of consistency: the use of the same font on all the slides, the recurrence of the logo in the bottom right corner and, most importantly, the use of a consistent color palette. Am I suggesting you use the same colors on all the slides? Close, but it’s a bit deeper than just that. If you are about to make a new slide and you draw a shape, the result will be a shape made of the sad standard PowerPoint blue. 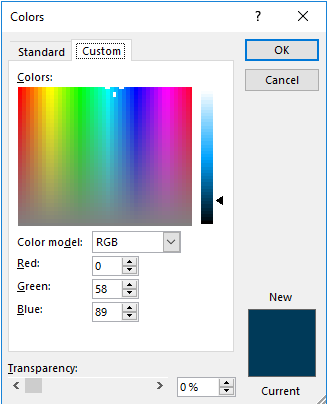 What if you want to change the standard blue? You select the shape, you open the Shape Fill menu and you have a choice in front of you. Which color should you start with? Should you choose the orange or the green? Would a combination of those colors create the consistency effect you are looking for? Let me tell you that it won’t! The main problem is due to the fact that colors, when randomly combined, don’t guarantee a consistent result. There are some colors that work very well when used together and others that absolutely cannot be combined. Now, let me ask you, which colors would you combine together and be sure they will work? You might have some idea, but what if I asked you to find an effective color combination starting from a given brand color, what would you do? It becomes difficult to sort out a palette of colors that work well when combined. This is where color combinations pop in. 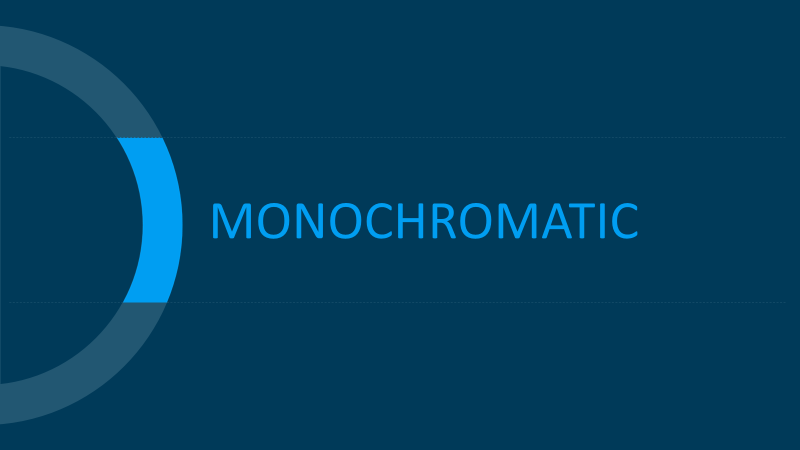 I will dedicate a full guide to color combinations, but for now, I’ll just teach you how to use one of them, the most professional one: monochromatic. This blue is R=0, G=58, B=89 and it looks like a beautiful dark blue. Even though you might like this color, it won’t be enough to manage the entire presentation. You’ll surely need to generate variants. Hence, you’ll need more colors. I would recommend working with a palette of five colors in total (the given one plus another four). Still, you might be wondering, how shall I find the other colors given this one? To do so, I’ll introduce you to a wonderful tool named Adobe Color. 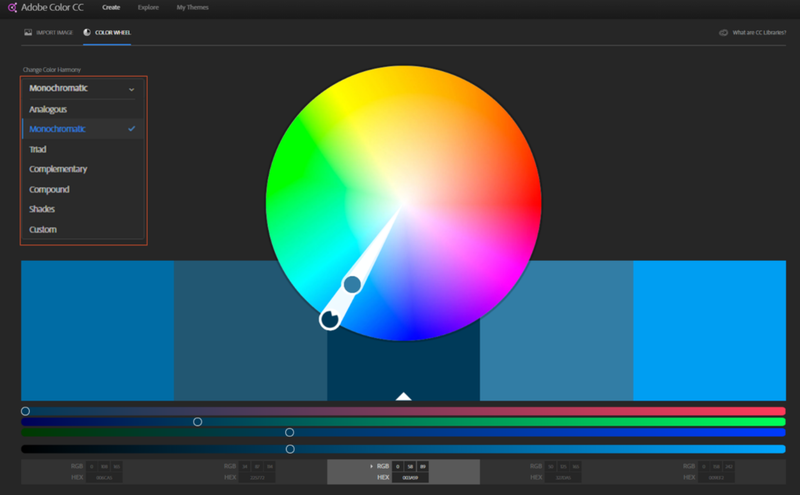 Adobe color is free and available online, you can navigate it with every browser (Internet Explorer, Google Chrome, Firefox). 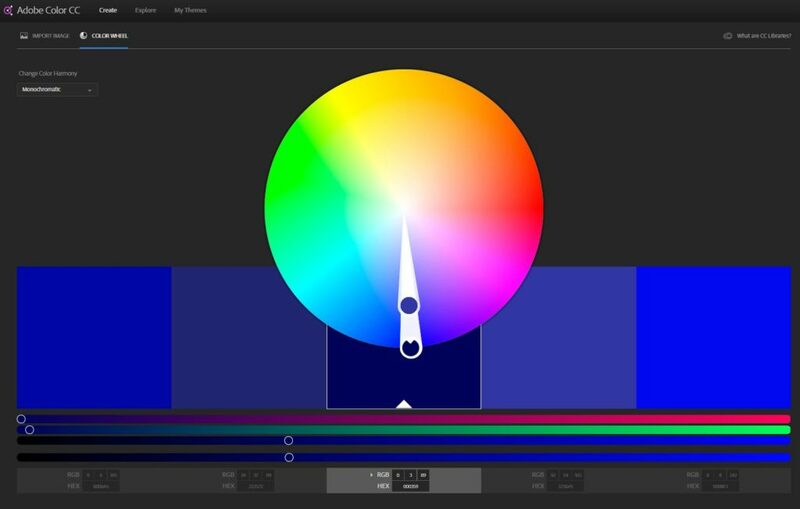 Adobe Color gives you the ability to choose a main color and calculate the others. Yes, I’m telling you to calculate colors! Select the central color so that you’ll have the other four split into two colors per part on the left and right of the main one. Write the RGB code of the main color. 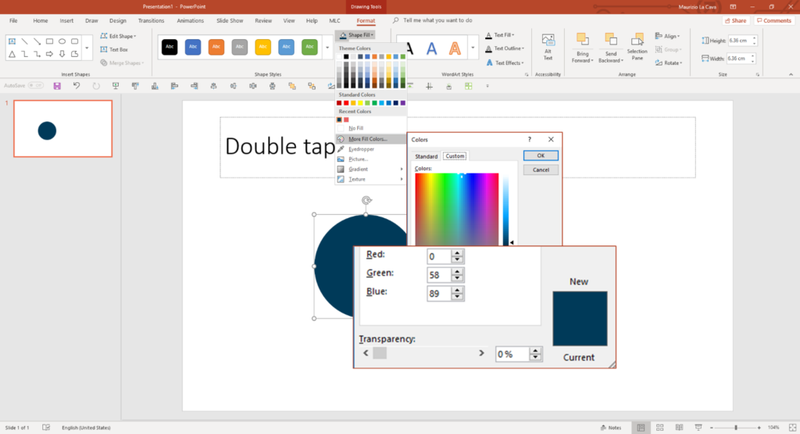 If you don’t know where to find the RGB of a color, you can pick it up from PowerPoint with the eyedropper and analyze it into the More Fill Colors menu. Do you see the numbers in correspondence of Red, Green and Blue? This is your RGB code of that color. Now, launch the browser. I personally use Google Chrome, but you can use the one you prefer. 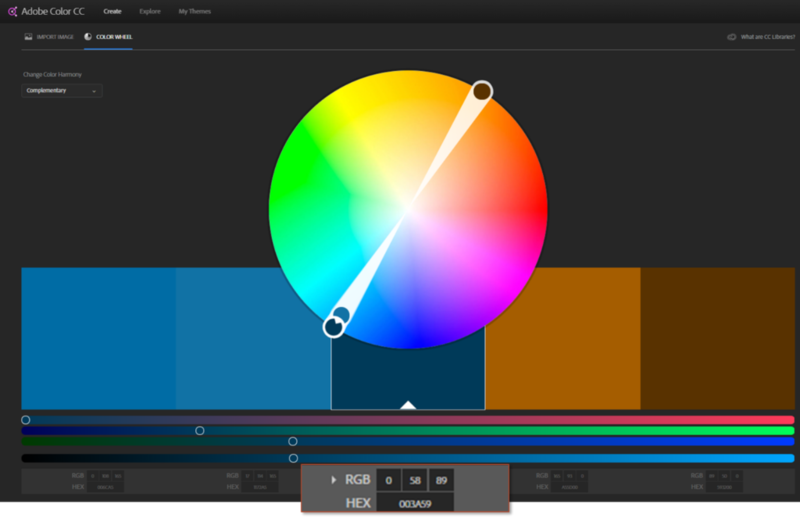 Search Adobe Color and launch the tool. It’s time to input the RGB you got in PowerPoint. The main color is the blue I gave you in the middle of the row of colors under the wheel). The other colors are automatically calculated as part of a color combination named Complementary. You’ll find that there are several powerful color combinations, but you need to know how to master them and I’ll teach you this on a dedicated guide. For now, let’s sort out the simplest, yet most elegant color combination that will help you make the safest choice: monochromatic. 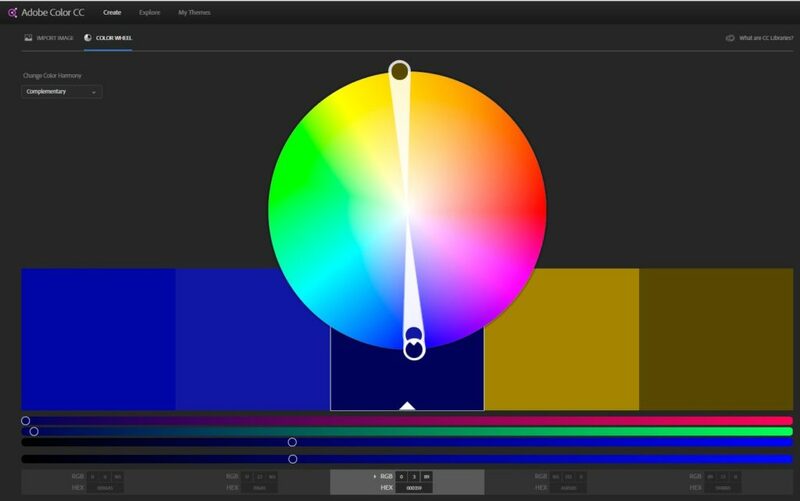 Adobe Color calculated a monochromatic combination of the main color and gave you other four colors that perfectly work combined with it. As you can see, you have darker alternatives of the same blue to use as backgrounds and you have lighter alternatives to use as foregrounds. I could easily select some colors from the palette and combine them in a way that they would enhance each other. At this point, you’ll have created a monochromatic and professional color palette to safely use to make up your slides in a consistent and effective manner. Use the monochromatic color combinations to design every presentation; you want to be consistent right from the beginning. What’s an outline in PowerPoint? 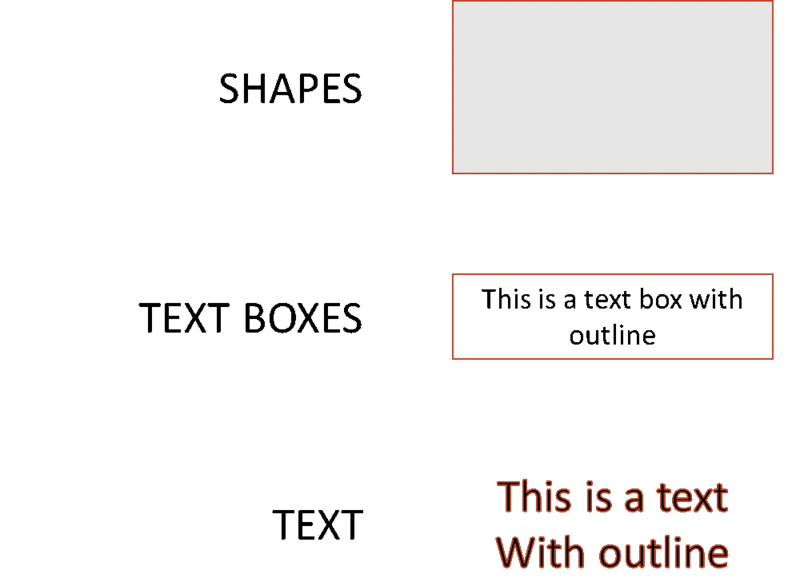 By definition, an outline is a line or set of lines enclosing or indicating the shape of an object in a sketch or diagram. Outlines are also very often applied to the tables. Can you see the borders of the following table? The problem with outlines is that people who work in PowerPoint overuse them. This happens because we often think that adding outlines will make the content clearer by splitting them. Analyze this slide with me. 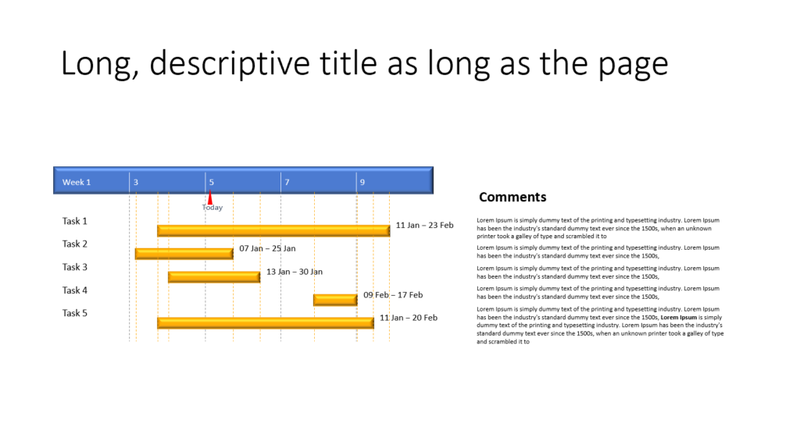 It has a title with an outline, which is the first part of the slide to be read. 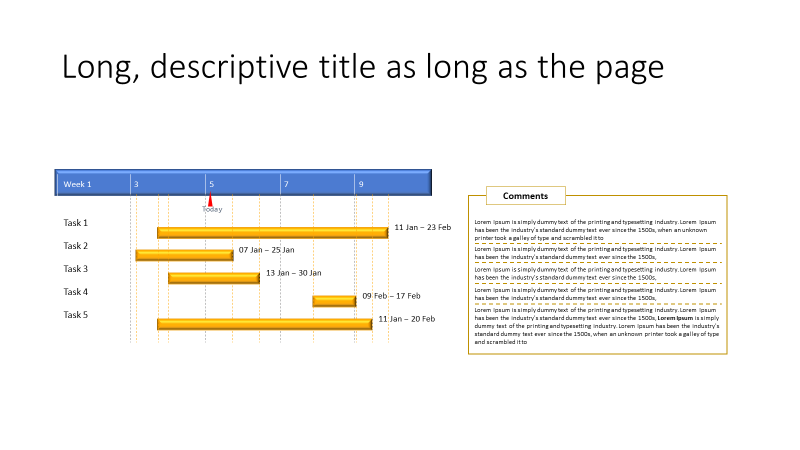 Then the slide is split into four subtitles, and finally you have a box of text that describes each sub-section. How many objects do you count? If the answer is 8 plus the title box, you are right! Let me redesign the slide for you. How many objects do you see now? Even though the slide is the same, you feel like there are only four objects, am I right? If lines are removed, the slide is lighter and presents less objects to focus on. In this case, the slide without outlines works better because we only have four objects, identified by the sub-headings and detailed with the boxes beneath. Therefore, it is not only perceived as lighter, but it is also more correct. This intervention deeply impacts the effectiveness of the slide and it only takes a while to be implemented. Don’t get me wrong; I’m not telling you that outlines are always bad, they just need a reason to exist. For example, take this Gantt diagram slide (If creating/importing Gantt charts in PowerPoint is a pain for you, I’d strongly recommend you read The Definitive Gantt Chart Guide ). The slide shows a wide title, a on the left and the descriptions of every task on the right. Looks a bit messy, doesn’t it? The descriptions are all stack together, and it is hard to associate each of them with the relative task. Adding outlines would partially solve the problem. The outline helps your eyes quickly scan the comments and associate them with the right task. However, if you paid attention, I wrote that outlines only partially solve the problem. One of the manifesto principles of Lean Presentation Design is “Less is More”, which means that when a slide does not work, the best solution is never to add elements on the slide, but remove them or leverage white spaces. In this case, it becomes visually separated the tasks by simply increasing the white space between them. Lines and boxes can sometimes help you to avoid a messy look, particularly in self-standing presentations (presentations meant to be read, not presented). 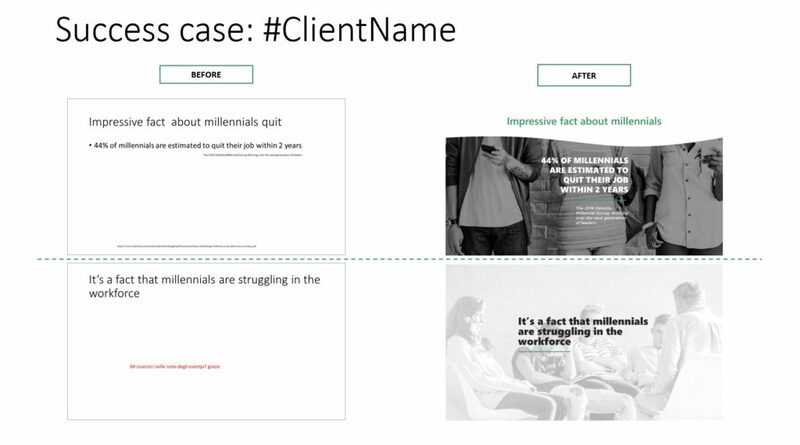 Suppose I was going to meet a new client and I needed to create a case study format, where I could show both before and after slides, pertaining to my intervention. I could leverage outlines to better distinguish the two sections. Or I could just use a line to separate the two slides vertically. One of the two alternatives works better; which one? If you guess which of the two is more correct and you can tell me why in the comments, I’ll gift you a copy of the Lean Presentation Design book. Outlines are often overused but sometimes, if applied properly, they can help clarify messy layouts and support the audience’s comprehension. We all know alignment is a big thing, especially in industries like consulting, where you could become mad aligning every single line on a 300-slide presentation, deliverable for your client. You know everything needs to be perfectly aligned, otherwise it will look odd and give the impression that you don’t care very much about accuracy. Alignment is even more important than this, as it carries a meaning with it. Why a meaning? Because alignments are a powerful way to correlate objects between them at a subconscious level. If you see two or more objects aligned, your brain will perceive them as correlated in meaning. On the opposite, this means that a slide with elements unaligned, your eyes will jump from one object to the other, trying to correlate them to understand the meaning of the slide. Of course, you don’t want your audience looking around your slides, trying to connect dots, because if they do so, they’ll stop listening to you. Hence, alignments have a strong impact on the user experience of your design and on the performance of your presentations. If you are presenting a physical presentation, you’ll risk losing the attention of your audience. A self–standing presentation risks people stopping their reading because it’s too tiring. Let me give you a demonstration with a quick UX test. How many objects do you see on this slide? You probably counted them and came up with the right answer: twelve! So what you see is a set of twelve non–correlated objects. Now let me ask you the same question of the following slide: how many objects do you see? I’m sure you are tempted to say four! What is happening here? The slide is the same and the number of objects is always twelve, but the way you perceive it is totally different. This test demonstrates that alignments have an impact on the meaning of your slides; it is not just a matter of visual order. Alignments are one of the techniques that we use to engineer the eye-paths of the audience on our slides. Learn how eye-path control can dramatically improve your presentations and discover the other techniques. Alignment is only one of them! It is a simple slide to understand, but don’t your eyes want go in all directions, jumping from one object to the other? Feel the relief how the following adjusted version. I’m sure that your eyes followed a much clearer (left to right) path that took less time and made you understand the slide easily. Now let me give you a powerful tip that will boost your speed while working with alignments. Adjusting alignments is a recurring task during the process of creating a presentation; you’ll have to use the alignment buttons many times, as you’ll have to align every object in every slide. However, PowerPoint doesn’t really help you and puts the alignment 3 clicks away from you. This is not the way I like to work. 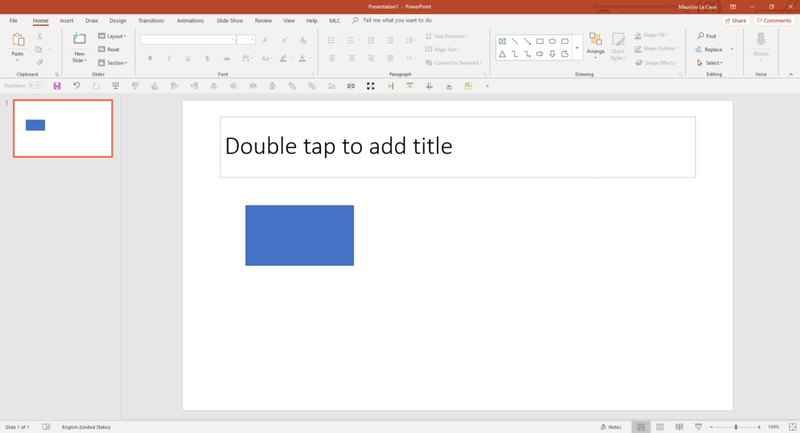 If you check my PowerPoint setup, you’ll notice that I make use of the Quick Access Toolbar. I like to position it below the ribbon so that it is always close to the slide and I can easily reach every button in a second. Thanks to the Quick Access Toolbar, I always have the alignment and distribution buttons at the ease of a click. Learn how to setup your Quick Access Toolbar and boost your productivity, giving more consistency to your slides. This is a very simple but powerful tip that perfectly fits within the Lean Presentation Design methodology. The human eye appreciates order and alignments. If something is not in line, the human eye will be immediately attracted and will try to understand the difference. We, as humankind, are very good at spotting differences and we are naturally attracted to them. Therefore, on your slide, you need to keep everything in order, preferring straight forms to curved forms. Do you ever need to highlight a group of objects on your slide, like in the following example? From now on, please do your audience a favor: stop using odd forms to highlight items on the slide, and prefer straight forms like in the example below. Do you see how much better is using straight forms? It is a simple trick, but remember, the devil is in the details, and it is in the details that you’ll make the difference. Do you really think that if you need to manage charts and tables in a presentation, you need to be boring? I won’t pretend to turn your presentations into a fun experience, but your slides should at least keep the attention of the audience. Let’s suppose your company foresees a decrease in the revenue of core products because they are at the end of their lifecycle. Therefore, you prepare an incremental launch plan of innovations that will be introduced year by year to compensate for the issue. You want to show the impact of three innovations, and you want to describe them one by one during your speech.